Jann Klose has seen more of the world before he was of voting age than most people will ever see in their entire lifetimes. From the time he was less than a year old, the songwriter/guitarist has lived in his native country of Germany, Kenya, South Africa, Cleveland, OH, and New York. Currently living in the Bronx, Jann has taken all of the musical influences of these lands and combined them all into his version of pop music. In his music, you’ll find large traces of jazz, blues, reggae, and of course, rock. It’s these styles that are evident in Jann’s newest release, entitled Reverie. The new album stays fresh by changing direction throughout the CDs 12 tracks. From the opening track of “Beautiful Dream” to the final track of “The Beginning,” you’ll hear all sorts of combinations of styles that help make Jann’s music unique. The most interesting tracks on Jann’s Reverie are “Doing Time”; “Clouds”; “Mother Said, Father Said”; along with “Beautiful Dream” and “Hold Me Down”, the 2 tracks that were put on a single previous to the album being released. 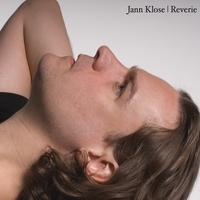 Reverie is Jann Klose’s newest album in his long line of self releases and compilations that he has been featured on. This marks the fourth release by Jann, following up his Enough Said, The Strangest Thing and Black Box CDs. Jann’s music has also been featured in the DEAD BROKE movie from Warner Bros Home DVD, the PRAMBORS HITS 3 in Indonesia, and on car maker SAAB’s 60th Anniversay CD in France. He even had a song included on the SERENITY HOUSE CD, a compilation that was put together to benefit the building of the Serenity House Hospice in Doylestown, PA. But it’s Jann Klose’s Reverie CD that is the focus of this review. Along with Klose and his bandmates (who play bass, keys, drums and violin on the CD), other musicians on the recording lend a hand on oboe, trumpet and flugelhorn, and percussion. With that blend of instumentation, Jann Klose has produced a solid pop effort that has a very worldy feel to it. You can find Jann and his music at www.jannklose.com and www.myspace.com/jannklose.